Rental dwelling ownership is a significant investment with unique risks. Wayne Insurance Group offers coverage options that are ideal for dwellings that house up to 8 families and are not owner-occupied. You can choose the coverage options that best fit your rental property. 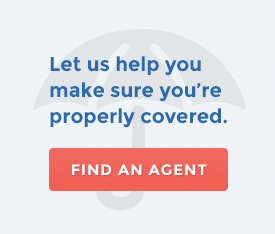 We offer both package and à la carte policy options to provide the coverage you need, whether you own one rental property or many. Optional property coverages can include replacement cost loss settlement, theft, water back-up, earthquake and more. Our policies can provide coverage for any bodily injuries or property damage you might cause to others, and can also include personal liability, medical payments to others and personal and advertising injury. Consult your Wayne Insurance Group agent for more details on the property and liability coverage options that meet the unique needs of your rental dwelling.